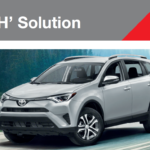 Nightlatch is a door lock having a sprung bolt that is operated from the exterior side of the door by a key and from the interior side of the door by a knob. 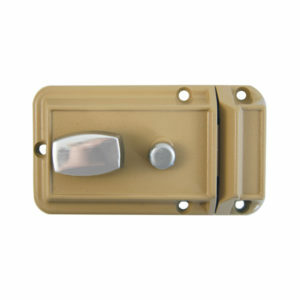 Night latches are usually rim locks. BBL Nightlatch is a door lock having a sprung bolt that is operated from the exterior side of the door by a key and from the interior side of the door by a knob. Night latches are usually rim locks. 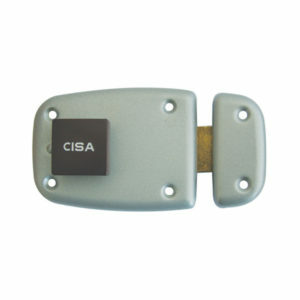 CISA Nightlatch is a door lock having a sprung bolt that is operated from the exterior side of the door by a key and from the interior side of the door by a knob. Night latches are usually rim locks. 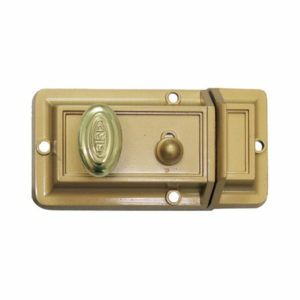 WREN BIRD Nightlatch is a door lock having a sprung bolt that is operated from the exterior side of the door by a key and from the interior side of the door by a knob. Night latches are usually rim locks. 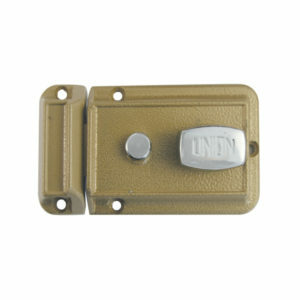 UNION Nightlatch is a door lock having a sprung bolt that is operated from the exterior side of the door by a key and from the interior side of the door by a knob. Night latches are usually rim locks. 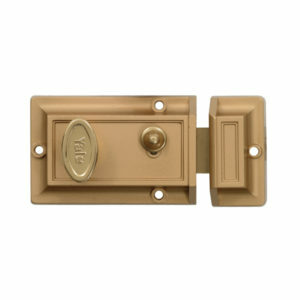 YALE Nightlatch is a door lock having a sprung bolt that is operated from the exterior side of the door by a key and from the interior side of the door by a knob. Night latches are usually rim locks.